Week 40 was a minor loss of $95 in the Options account. We took losses on LVLT, FB, and ENDP on the 50% Down Rule and profits on MOS and JBLU positions. Keep in mind that the LVLT, FB, and JBLU were carryover positions from gains taken on the 100% UP Rule in the last couple of weeks. 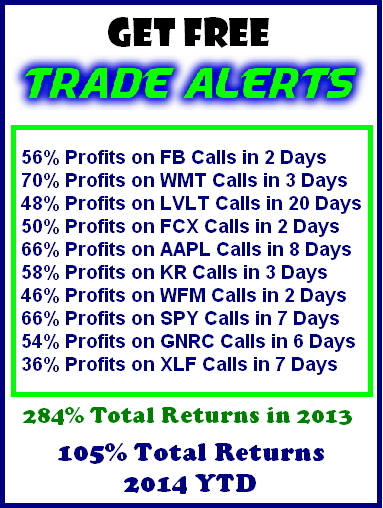 YTD gains are $11,320 and we have NO FUNDS IN USE. As I’ve said here for the last several weeks, I am VERY wary of the action at these levels. Increased daily ranges tend to be prevalent at turning points. Since we are still awfully close to all-time highs, a change in direction would be ugly. If you follow these comments you know that I’ve been using smaller and smaller positions so that we can participate in the upside without too much risk of the kind of week we just had to endure. We now go into the week with no open positions and plenty of buying power. This was also accomplished in the $100,000 account by taking both gains and losses to bring the funds in use to the lowest level of the year. We should be able to find stocks that are at or very near good long term support. The flexibilityfrom having lightened up positions means we can pick and choose. Monday should entail some follow-thru from the weakness Friday. The lack of a bond market on Monday for the Columbus holiday may exacerbate any one-sided action that may occur. S & P500 has bottoms from August around 1900 and massive support from the tops from 1890-1900 as well as the 200 day moving average at 1896. Is it “THE” correction everybody has wanted?? We shall see. I will be doing most of my trading at the extremes taking positions that will be of the “right or right out” nature. M1…all money in hands of the public, Time Deposits Traveler’s Checks, Demand Deposits. There were six closed out option positions last week with a small loss of $ 190. There were also nine closed out stock positions with a net gain of $ 1,857. The weekly result showed a profit of $ 1,667. 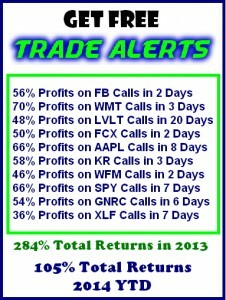 For the full year to date we have gains of $ 29,354. There are less open stock positions in such volatile conditions. We now have no open options positions. Volatility catapulted 46% last week, its largest weekly move in many years. On Wednesday, the Dow travelled from a low of 16,663.36 to 17,006.91, closing at 16,994.22, up 274.83 points or 1.6%. Thursday was a complete reversal, the Dow dropping 334.97 points or 1.97%, which of course is a very bearish pattern to say the least, a mirror image down day on huge volume with a big range. 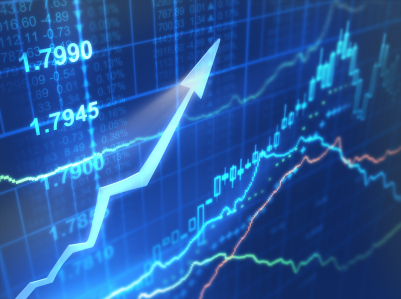 Friday was a continuation of the trend adding another 115 points totaling 466 for the week. The DJ Transportation Average, which had been positive all year, succumbed to an Ebola scare and lost the most, 588.73 points, or 6.94%, its largest loss in one week. 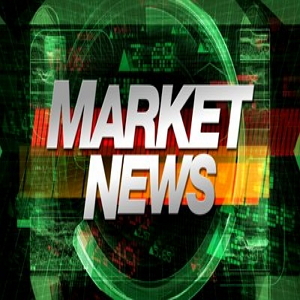 Nasdaq Composite fell 199.39 or 4.45%; The S&P 500 lost 61.77 points or 3.14% while the Russell 2000 continued its losing ways, off another 51.42 points or 4.65% for the week. The markets make their move; then the pundits, the experts look for a reason why. Foreign investors have bid a combined $ 325 billion for American firms this year spurting demand. The dollar has surged to its highest level in four years while sporting a current account deficit in the amount of 2.3% of GDP. The greenback remains well below levels in 2001 when it traded above 100. Those days will hardly be seen again as America spends heavily on defense in the Mideast not able to depend on NATO and with foreign policies inept at best in mishandling of Syria which now has evolved with ISIS, another worry and you can believe it, another worrisome factor and a growing expense. On October 7th, the IMF lowered its forecast for global growth in 2014 to 3.3% from 3.7% just six months ago. The biggest reductions of course are in Europe. German Industrial production fell 4% in August while factory orders dropped 6% both of which were the largest declines in five years. The MF reduced its forecast for Italy’s GDP growth to decline 0.2% fro a previously predicted + 0.3%. None of these European countries seem to have an interest to support Mario Draghi, or even NATO. That means we the U.S., with our overburdened account deficit will again have to spend in the Mideast. Meanwhile, Germany, which is slow to commit funds and personnel to the Mideast, has a positive current account surplus of 7.2% of GDP. France has posted worries over paying for its mounting debt obligations. Both France and Italy are hampered by very high labor costs caused by strong labor unions that makes them uncompetitive with the rest of the world. The evolving emotional effects and emerging counter measures of Ebola has put downward pressure on transportation-related values. The slowdown engendered by Russia’s involvement in the Ukraine has created minor havoc with some trade, but their economies are overshadowed by a high cost of doing business in the European block. Concomitantly, student unrest in Hong Kong, the drop in the Japanese Yen and general weakness in China’s industrial production and real estate market has slowed the perception of their forward raw material needs causing a drop in commodity prices. The weakness in the yen has been another competitive factor causing China to be headed for its worst year of economic growth since 1990. All of this has propelled the greenback to higher levels. However, by historical standards, the dollar remains very cheap. Alpha Pro Tech ( APT: 7.43 ) That we have shown in the bottom table makes the disposable protective apparel to retard the spread of infection like Ebola. The table at the bottom of this letter has had some good winners both long and short ( SPXU; VXX ) which have made profits on the long side when the markets go South. The initial claims level fell to 287,000 for the week ending October 4 from a slightly downwardly revised 288,000 (from 287,000) for the week ending September 27. The Briefing.com consensus expected the initial claims level to increase to 295,000. Wages had been growing at a tepid rate, just 2%, barely above inflation, but now as inflation decreases and both wages and salaries increase there is a forward look. The continuing claims level fell to 2.381 mln for the week ending September 27 from an upwardly revised 2.402 mln (from 2.398 mln) for the week ending September 20. The consensus expected the continuing claims level to increase to 2.425 mln. The JOLTS-Jobs Openings news release last Tuesday October 7th revealed there were 4.8 million job openings on the last business day of August, well up from July and the highest level since January 2001. There are now less than 2 job openings per unemployed person. In January 2009 there were 6.8 unemployed for every job opening. As the pool of unemployed dries up, companies will need to increase salaries and incentives including higher wages which will increase consumer spending, the most significant part of GDP. Over the past four weeks, the initial claims level has averaged 288,000 per week. That is the lowest 4-week moving average since January 2006 when the average briefly reached 287,000. The initial claims level hasn’t stayed below that level for two or more weeks since June 2000. Clearly, the employment picture has improved dramatically. Top line sales growth is significant. They deliver labor solutions at assigned jobsites ready for work while other services are still sending candidates to be interviewed. Labor Smart delivers people-power to small and medium sized businesses in warehousing, freight handling, light industrial services, manufacturing, social events, and retail industries. They also support commercial construction and demolition industries with general labor and skilled trades people. Labor Smart was founded in 2011, is based in Hiram, Georgia and currently operates 30 branch locations in the Southeast and Central States. Their growth model includes both new office establishments in addition to acquisitions. This is the cornerstone of our investing philosophy. Simply put, we analyze markets from an historical perspective, with an eye toward identifying cycles and patterns that tend to repeat year after year. On top of that, we focus on small cap/high growth stocks because we think this corner of the market Wednesday buying frenzy could not get the S&P 500 past the 50 day price moving average at about 1,970, which now becomes major resistance. The Dow equivalent is 16,994. The Russell 2000 needs to surpass 1,105. Midterm election year Octobers have been downright stellar thanks to the major turnarounds mentioned above; ranking number one on the Dow, S&P 500, NASDAQ and Russell 1000 and second for Russell 2000. This is also the beginning of the sweet spot of the four-year-presidential-election-cycle. The fourth quarter of the midterm years combines with the first quarter of the pre-election years. However, this year we are encumbered with geopolitical events that are unsettling the whole world notwithstanding the markets making for unpredictable volatility. Patience is rewarded. We like stocks that benefit from lower energy prices. Deere and Co ( DE: 80.98 ) is the largest manufacturer and distributor of agricultural equipment worldwide. Deere is in the midst of an $8 billion stock buyback program while offering a 3% dividend. Deere has amazing free cash flow generation. The average P/E ratio for the peer group consisting of Exxon Mobil ( XOM: 91.60 ), Chevron ( CVX: 113.89 ) and ConocoPhillips ( COP: 70.36 ) ( BP: 41.54 ) stands at only 11.17x, highlighting that all the companies in the energy peer group are literally on sale which offers the best opportunities for portfolio appreciation.